Cosmetic Surgery in Ireland - How did it all start? 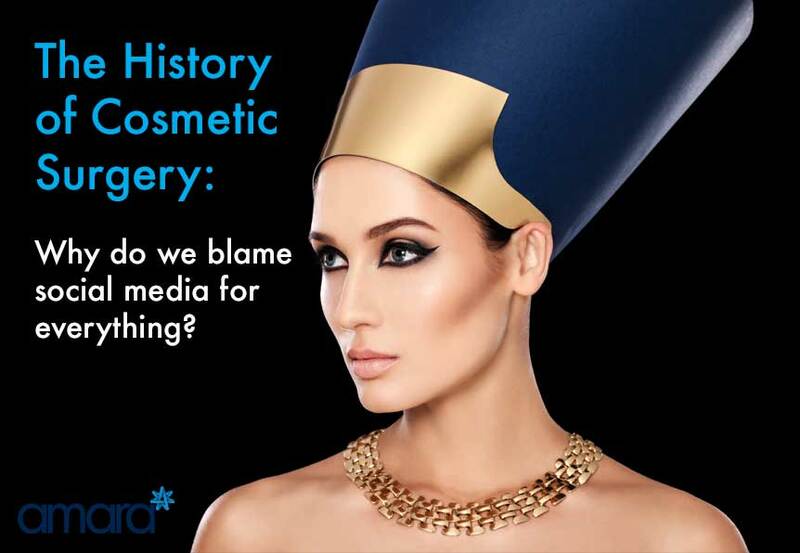 People like to blame cosmetic surgery and body modification on modern day issues like Social Media and celebrity peer pressure, but cosmetic Surgery has been around for an awful long time! How did Cosmetic Surgery Start? The first known surgery was actually performed on someone who was being buried! In 1213 BC when pharaoh Ramses II died Egyptians believed that your face was the only image that was carried with you to the afterlife. As Ramses II had quite a large nose they wanted to make sure it remained recognisable so they surgically inserted bone and seeds. In India the first recorded cosmetic surgery on a live person took place. At the time the noses of criminals and adulterers were cut off as punishment and so people could identify them. In an effort to regain normalcy they rebuilt their noses using skin from their cheek. Freed slaves sought surgery to remove their brandings. Instead of taking skin from the cheek, the skin was taken from the forearm which caused less scarring. However in order for the skin to stay in place the nose was grafted to the forearm and force to remain in the same place for at least 30 days so the skin could then be moulded into a nose shape! In the 20th century breast reductions became popular! At the time small breasts were all the rage particularly in the flapper era! Over the decades breast enlargements then took over. However in the past few years breast reductions are again becoming more and more popular. Cosmetic trends are based upon the demand of the people and society! Buttlift and implants have gotten extremely popular as beauty icons such as the Kardashians have taken the lead. With our without Social media cosmetic surgery has always been popular. However it has gotten safer over the years and quicker! You can now get a Liquid Facelift in just half an hour! Are you thinking about non – surgical facelift? Book in for your free consultation now!